Farm labour has been highlighted by many as one of the big losers from land reform. Certainly, the post-2000 land reform in Zimbabwe has resulted in a significant displacement of farm workers from former large-scale commercial farms. However, the scale and implications of this are much disputed, and poorly understood. In assessing the implications for employment, livelihoods and agrarian relations, it is critical to have a proper assessment of what has happened since 2000. Unfortunately, as with so much in the Zimbabwe land debate, this discussion is coloured by inaccurate figures and ideological positions, unsupported by empirical data. Fortunately, a new paper by Walter Chambati, one of Zimbabwe’s leading researchers on agrarian labour, has just been published the Future Agricultures Consortium in association with AIAS. 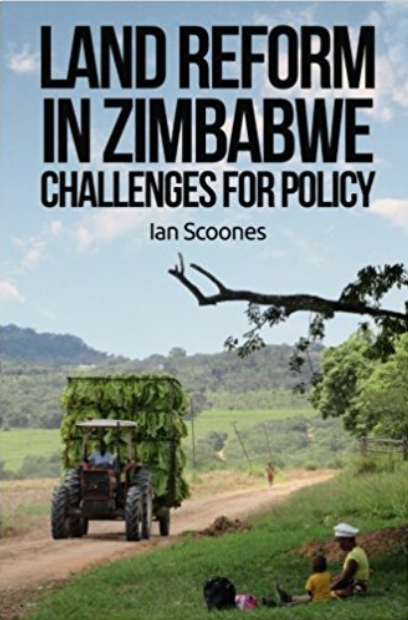 This helps move the debate forward by providing a detailed examination of changing agrarian labour relations based on detailed research from Goromonzi district, one of the high potential farming areas of Zimbabwe influenced by land reform. One of the big problems with the debate about farm labour since 2000 has been (once again) the lack of data on what happened to farm workers following land reform. The figures regularly trotted out in the media, and by many others too are usually wildly inaccurate. For example the MDC in their recently launched policy paper claimed (p. 44) that “some 400 000 farm workers have been displaced with their families plunging nearly 2 million people into destitution and homelessness” due to what they term the ‘chaotic’ land reform. This is way off the mark, and inevitably colours the analysis and the policy conclusions reached. When we were putting together our book in 2010, we searched across the available data and tried to triangulate between sources. Our best estimates (based on CFU, GAPWUZ, CSO/Zimstat and other sources) were that before land reform in the late 1990s, there were between 300000 and 350000 [ammended, 29 May – see comments] permanent and temporary farm workers working on large-scale farms and estates. Of these 150000-175000 (169000 in 1999 according to the CSO) were permanent workers, making up a total population of around one million, including any dependents. In the new settlements established after 2000, around 10000 households were established by those who were formerly permanent farm workers, along with others who were temporary farm workers and joined the land invasions. A further 70000 permanent worker households remained in work on estates, state farms and other large-scale farms. There were also substantial numbers of in situ displaced people still on farms living in compounds, seeking work on the new farms and perhaps with access to a small plot – perhaps around 25000 households. These were predominantly in the Highveld areas where significant farm worker populations resided on the farms, many without connections elsewhere and originally migrants from elsewhere in the region. Thus nationally this all means around 45000-70000 permanent farm worker households were displaced and had to move elsewhere – to other rural areas or towns – while others who were temporary workers had to seek new sources of income but remained based at their original homes, some continuing as labourers on the new farms. These figures suggest a very different pattern to that suggested in many media commentaries, donor reports, and policy documents. It is disappointing that some more thorough cross-checking does not take place before these are published. Of course such patterns of displacement and resettlement vary dramatically across the country. In the Highveld areas where highly capitalised farms required large amounts of labour – for instance for tobacco or horticulture operations – displacements were significant. Outside these areas, the pattern was different. This was the case in Masvingo province, where land reform displaced largely ranch operations which offered limited employment. However, while there has undoubtedly been displacement and associated hardship, the scale and implications are very different to what is often suggested. And what has replaced the former pattern of farm employment? Again this varies significantly, depending on the intensity of the farm operations, type of crops and the type of labour required. Across the farms in our study sample in Masvingo, we found that in the late 2000s on average 0.5 and 5.1 permanent workers were employed in A1 and A2 farms respectively, while 1.9 and 7.3 temporary workers were employed. This is shown in Chambati’s studies of labour in Goromonzi, and his earlier studies in Chikomba and Zvimba , and is confirmed by the AIAS six district study that showed how the average number of permanent workers increased from 1.28 on the smallest farms (up to 5 ha arable area – largely A1) and increased to 4.87 labourers for farms with arable areas of above 40 hectares (largely A2). The number of casual workers increased from 5.43 to 10.69 labourers across these ranges (p.118). Aggregating such figures up across new resettlement farms nationally, this represents a considerable amount of employment generated, including for many women. When the new farms replaced low employment operations such as ranching as in many of our Masvingo sites, the amount of employment available now far exceeds what was there before. However farms that employed greater amounts of labour before, the opposite may well be true. And in addition to the numbers of jobs, there is of course the question of pay, conditions, and the type of skills required. This again is highly variable. “Non-wage labour such as sharecropping and labour tenancies are emerging in response to shortages of finance to hire labour. The integration of farm labour and land beneficiary communities through familial relations and other social networks provides prospects for the improved social reproduction of labour. The new form of social patronage based on kinship ties is being extended as more relatives are brought in for farm work to minimise cash outlays on the dollarized farm wages”. It is important to keep up with these changes, and understand the transformations in labour regimes that are occurring, with their implications for wages, rights, gender access, skill requirements and overall employment levels. With small-scale, medium scale and large-scale farms competing for labour in a particular area, there is a range of new dynamics of play. In the Highveld, the farm compound, although transformed from the past, remains a site of contestation, as Chambati explains for Goromonzi. The social relations of labour on the new farms are of course a far cry from the exploitative residential tenancy system of the old large-scale commercial farms, with a diversity of new arrangements seen. But this does not mean that exploitation has disappeared. The new farm workers, dispersed over many more farms and often embedded in kinship networks, are poorly organised and unable to articulate demands effectively, and there has been downward pressure on wages. The organisations that once assisted farm workers on large-scale farms have yet to re-orientate their activities towards these new vulnerable groups. With the debate still focused on the discussion of displacement, and informed by a poor understanding of what happened, a thorough reappraisal of rural labour regimes and their implications following land reform has yet to happen. The paper by Chambati offers a further useful case study to complement others, and suggests some important new directions. Sadly the policies of Zimbabwe’s farm worker labour unions and all the political parties remain largely silent on this issue, stuck in old debates informed by poor data. The same is true of much of the policy and media commentary. Farm labour on the new resettlement farms generates a considerable number of livelihoods. As a source of employment, this sector is underestimated and poorly understood, yet is highly significant in the rural economy. As a group with poor labour rights and in need of organisation and support, the new farm workers are also an important constituency for unions, support groups and others. Hopefully those thinking about future policy frameworks will read Chambati’s paper – and indeed all the other studies on the subject – and think harder about rural labour issues, before pronouncing a standard, but now thoroughly disputed, narrative. Is it possible for you to please elaborate on how you obtained a figure of ‘a total of 45 000 permanent farm worker households were displaced’? My estimation, based on your figures above show that 350 000 – (10000 + 70000 + 25000) = 245 000. Your figure is way off – and mine is more in-keeping with the MDC’s estimation. Also, what is your opinion on access-issues regards agriculture-related research in Zimbabwe? Is it possible to access all A2 farms in the country, and interview former farm labourers without fear of reprisal? Can a researcher access most of the former large-scale commercial farms and conduct objective research – without approval from ZanuPF? Correction – 175000 permanent workers subtract 105000 (remain) equals 70 000 (permanent workers) displaced – excluding dependents. Not your 45 000. Thanks Dave. I made a mistake in the original blog (now corrected), as the total number of farmworkers (permanent and temporary) in 2000 was 300,000, according to our estimates in 2010. This means that the total ‘displaced’ is 45000, as originally estimated. However, the figures are not very easy to verify, and totals may well be more. For example in 1999 a CSO estimate estimated the total labour on large-scale farms at 322,000, with 52% being permanent workers. Taking these figures, this implies a further 19,000 formerly permanent worker households were displaced, bringing the total to 64,000 (but still not 400,000). It also depends if you include the so-called in situ displaced households in the totals. These people remain resident on the compounds, and usually have small farm plots. We estimated these amounted to 25000 housheolds. However they are competing with others, often linked through family connections, who are gaining new employment opportunities to the exclusion of former workers. They are often doubly disadvantaged as they are often second/third generation immigrants without Zimbabwean rural homes, and sometimes excluded from citizenship rights. Godfrey Magaramombe has done some good research on this especially vulnerable group. The point about the numbers though is twofold: first we don’t know the accurate figures, and second most commentaries are way off the mark, not effectively differentiating and disaggregating. It would be good if ZIMSTAT and others invested some proper research effort in finding out. But meanwhile, thanks for your correction. Perhaps it would be more accurate to provide figures for the upper and lower (and mean) estimates of the number of permanent/casual workers displaced. So you say that accurate figures are difficult to obtain, but prior to your correction, you started off with 350 000 persons (now 300 000 – but other authors cite 350K) persons employed. So let’s say that anywhere between 300 000 to 350 000 people were employed full/part time prior to 2000. This equates to between 45 000 and 70 000 (mean=57 500) full time employees who were displaced. If you include casual labour, then that’s anywhere between 195 000 to 245 000 persons displaced (mean=225 000). If you then consider dependents, say a lower estimate of one dependent per full time/causal employee, then we have anywhere between 115 000 and 450 000 persons displaced. Fair point. I have amended the blog to include ranges, and so emphasise the very real uncertainty about the figures. However, it is important to distinguish permanent and temporary employment, as the livelihood impacts of land reform were very different. For those who lost permanent employment, they lost homes and jobs, and often had nowhere else to go. Those who lost temporary employment already had alternative sources of livelihood, and had homes in the communal areas or elsewhere. It is difficult to guage these impacts, as employment ranged from regular work to very occasional piece work on the farms. The reality of farm employment in Zimbabwe is that large numbers were moved into the temporary employment “category” in the 1980s because of the cost and other restrictions imposed by employment legislation after Independence in 1980 (the Zimstat data reflects that). Effectively, most of these “temporary” employees were more or less permanently employed albeit on rolling (temporary) contracts. These employees depended largely or entirely upon earnings from commercial farms and certainly for almost all of their cash income (communal land farming providing part of their annual maize requirements in some (not all) years). For example, an enterprise with whom I worked had around 4,500 employees for probably 9 months of the year. However, of these, only around 1,200 had permanent employment status (in terms of the law). One needs therefore to be cautious when arriving at some of the assertions you’ve developed. I imagine that in almost all cases the new “employees” that you and your co-researchers report will be without any formal employment status and consequently have zero protection of their rights. I imagine too that remuneration (not only wages but also benefits like farm schools, farmer-run and paid for clinics, maternity leave benefits, training, etc) would be no more than half of what they might have achieved under the status quo. Finally, I would question the new numbers as I believe that most numbers reported as “employees” are in most instances close family relatives. Most of these would be at best be underemployed i.e. probably resident on the property with occasional compulsion to work and remuneration being a combination of cash and (mostly) in kind payments. Some important points here especially about the definition of employee. Thanks.